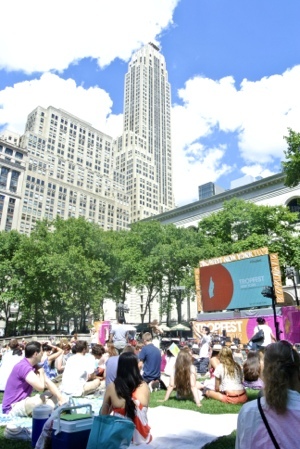 The world’s largest short film festival is currently going on at Bryant Park. This 20th anniversary includes Mr. Hugh Jackman, who will make an appearance at 8. Ticket holders get priority entrance, but after 5 anybody can come onto the lawn.